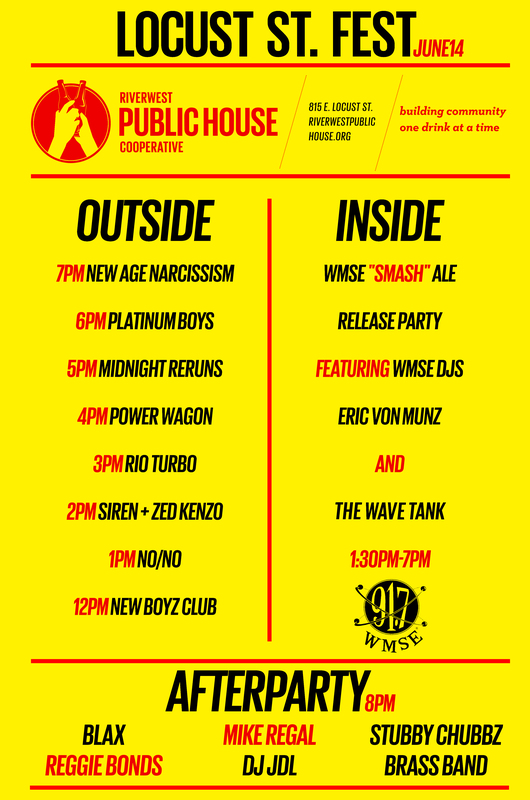 As an added bonus, we will have WMSE Smash Ale on tap during Locust Street Festival. This limited edition SMASH gets its name from being a Single Malt (roasted in Wisconsin) and Single Hop (grown in Wisconsin) recipe. A portion of the proceeds will go back to WMSE and towards our work to support local music in Milwaukee.